A quarter of a century after the fall of the Berlin Wall, and from the vantage point of a post-Cold War, globalised, world, there is a need to address the relative neglect of postcommunism in analysis of postcolonial and neo-colonial configurations of power and influence. This book proposes new critical perspectives on several themes and concepts that have emerged within, or been propagated by, postcolonial studies. These themes include structures of exclusion/ inclusion; formations of nationalism, structures of othering, and representations of difference; forms and historical realisations of anti-colonial/anti-imperial struggle; the experience of trauma (involving issues of collective memory/amnesia and the re-writing of history); resistance as a complex of cultural practices; and concepts such as alterity, ambivalence, self-colonisation, dislocation, hegemonic discourse, minority, and subaltern cultures. 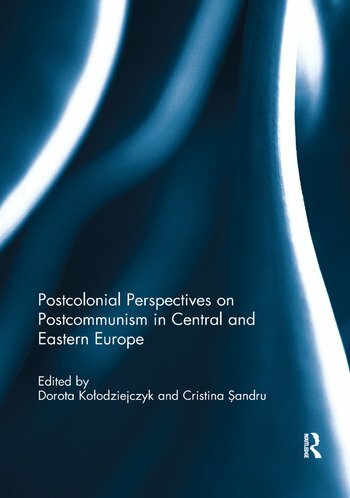 Taken together, this volume suggests that some of the methodological instruments of postcolonial criticism can be fruitfully applied to the study of postcommunist cultures and, conversely, that the experience of the Soviet brand of imperialist rule in the form of communism in East-Central Europe can function as an ideological moderator in Third-World oriented, Marxist-inspired, postcolonial discourses. This book was originally published as a special issue of the Journal of Postcolonial Writing. Dorota Kolodziejczyk is Assistant Professor at the Institute of English Studies, Wroclaw University, Poland. She is the co-founder, and a board member, of two research networks: the Research Center for Postcolonial and Post-Totalitarian Studies, and The Postdependence Studies Center. She has authored publications in the fields of postcolonial and postdependence studies, comparative literature, and theory of translation, as well as translating both literature and postcolonial theory into Polish. Cristina Sandru is an independent researcher who has published extensively in the field of postcolonial and postcommunist studies. She is co-editor of Rerouting the Postcolonial: New Directions for the New Millenium (2009), and author of Worlds Apart? A Postcolonial Reading of post-1945 East-Central European Culture (2012).